At a Human Rights forum held at the Guyana Pegasus in November, the Prime Minister said that following the ruling, Guyana must now work on adjusting its culture to include all sections of society including Lesbian, Gay, Bisexual, and Transgender (LGBT) persons. Emphasizing that it is a human rights issue, the Prime Minister said that education will need to form a major part of the process intended to change the way persons engage with the LGBT community. “So I think social organizations, in particular, have a responsibility to start the education process to be more tolerant to accept that we have differences in our society that we are not all the same; that we are all entitled to the same rights,” the prime minister said. He noted too that the government must also find mechanisms through which it can give “teeth” to the decision. The Society against Sexual Orientation Discrimination (SASOD) has also underscored the importance of training in Guyana for the country’s law- enforcement agencies, judiciary and social society, to guard against discrimination aimed at those who will now be exercising their freedom to cross-dress. The decision was handed following the conclusion of the case of Quincy McEwan, Seon Clarke, Joseph Fraser and Seyon Persaud versus the Attorney General of Guyana. The case has its origin in the February 2009 arrest of the four appellants, who identify as transgender persons and were detained, convicted and punished for cross-dressing in public. At the time of the arrest, McEwan was dressed in a pink shirt and a pair of tights; Clarke was wearing slippers and a skirt, and Fraser and Persaud were dressed in skirts and were wearing wigs. While in custody, Fraser was denied legal counsel, medical attention, a telephone call, and a statement. In addition, all four spent the entire weekend in police custody without any explanation. They all pleaded guilty to the cross-dressing charge and McEwan, Clarke and Persaud were fined G$7,500, while Fraser was fined G$19,500. With the assistance of SASOD, proceedings were brought in the High Court of Guyana challenging the law on several grounds, including that it is discriminatory and inconsistent with the Constitution of Guyana. 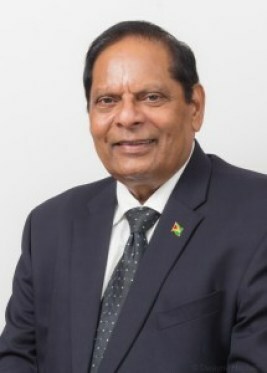 Both the High Court and the Court of Appeal in Guyana had denied the constitutional challenges, after which the appellants took their case to the CCJ. The CCJ panel, comprising the Honourable President Justice Saunders and Justices Wit, Anderson, Rajnauth-Lee, and Barrow, agreed that the law was from a different time and no longer served any legitimate purpose in Guyana.